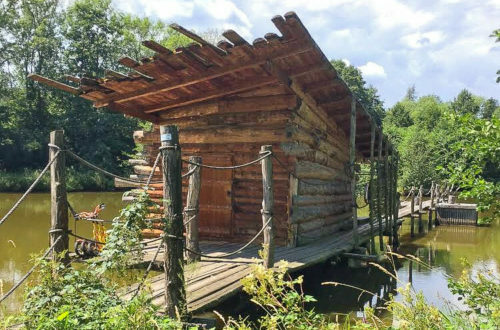 Do you want to enjoy the beautiful historical city, a boat trip by the river, traditional Czech restaurant and hiking in the Czech countryside in one day? 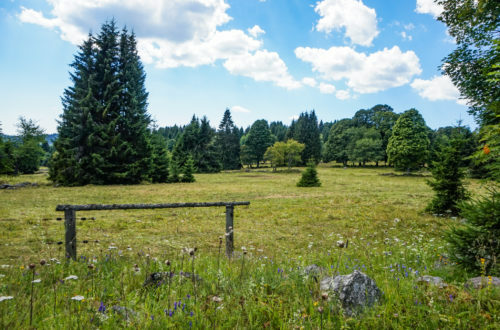 You can explore all of it in Kersko, region famous by the Czech prosaic Bohumil Hrabal. 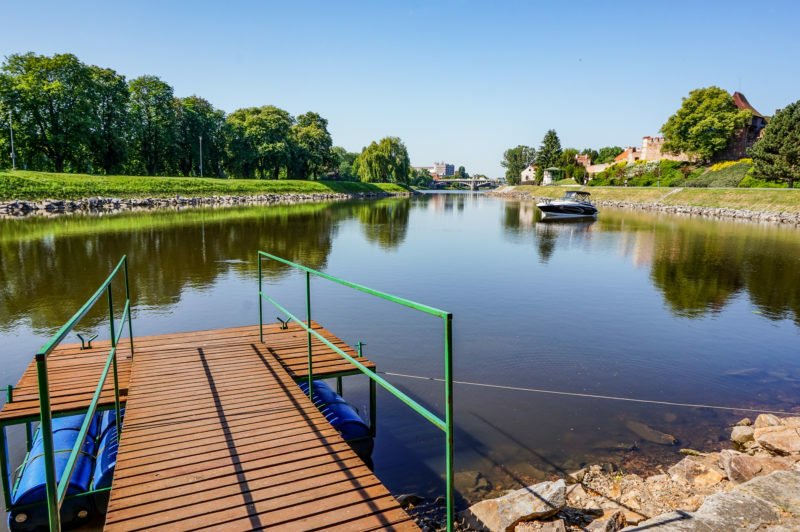 Nymburk is a charming city with medieval walls just alongside the river. Czechs like the local brewery that is producing a bear called “Postřižinské pivo”. 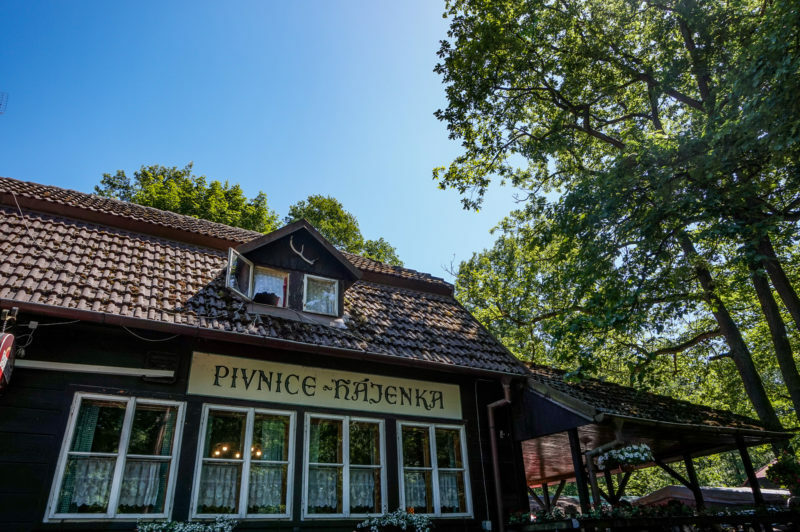 The name itself is difficult to pronounce, but it is named according to the Czechs well-known movie “Postřižiny”, based on the novel of Bohumil Hrabal. Unfortunately, we did not have time to explore the city, since we need to catch a boat, that took us directly to Kersko. The port itself is a lovely English park alongside the medieval walls, where we had a picnic and relaxing walk alongside the river. 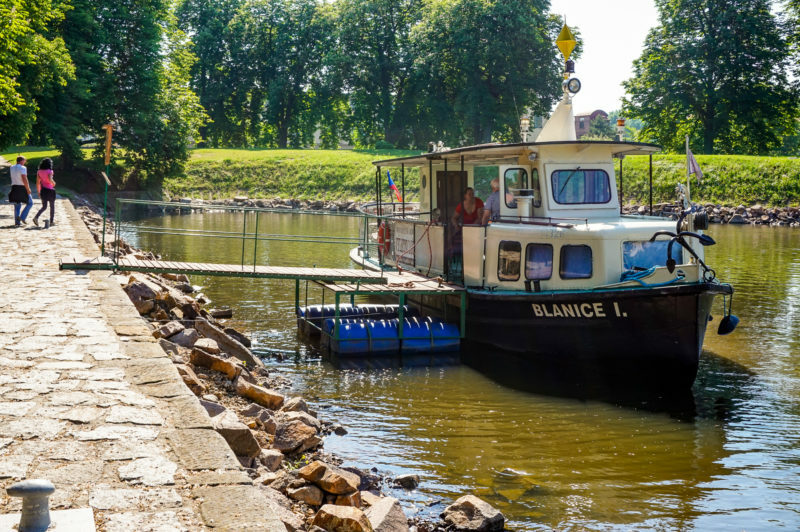 After that, we boarded a small boat called Blanice. Immediately we received a warm welcome from the captain in a white-blue stripped t-shirt. 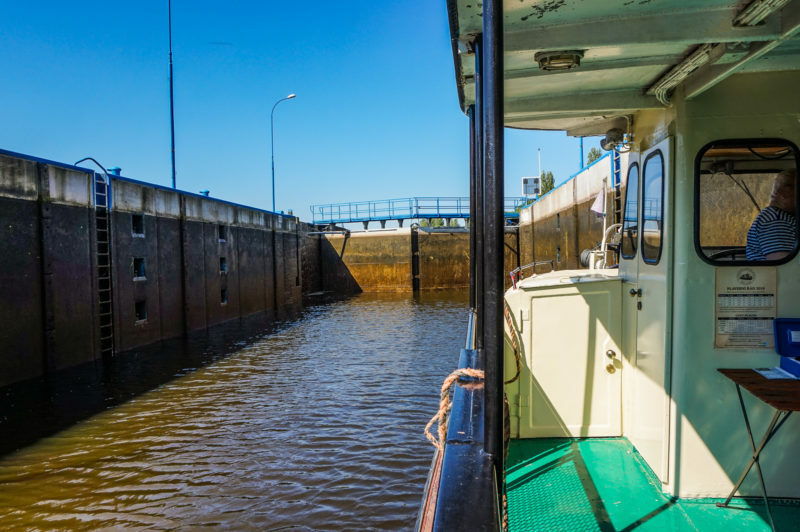 We enjoyed more than a one-hour long cruise with beautiful views of the countryside and even experienced a stop in the sailing chamber. The boat itself is about one hundred years old. To be honest, I felt like in a retro movie about summer holiday, just the white dress with the straw hat was missing. After completely relaxing cruise we finally get to Kersko. At first sight, you can see that it’s not a typical Czech village, but rather a settlement full of alleys. It was a completely new experience even for me. We walked in the streets that look like a forest. 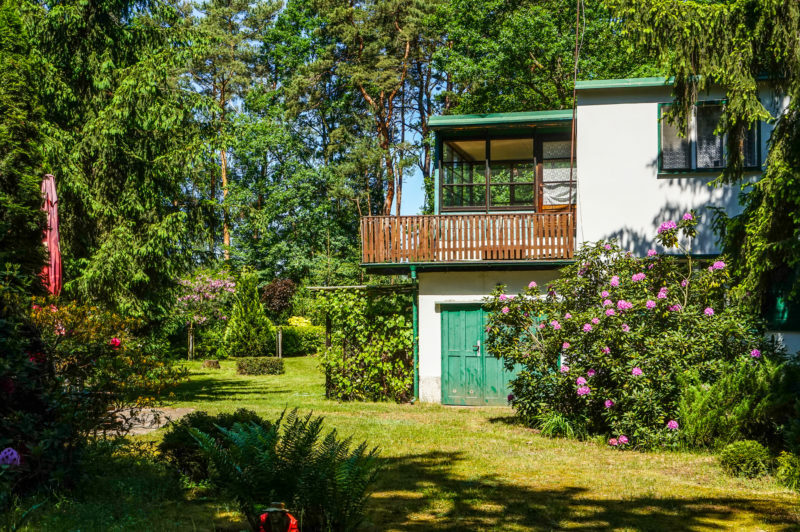 Finally, we found the summer house of Bohumil Hrabal, where he wrote his famous books. We already got hungry, so the main goal was to find restaurant Hájenka. This is quite well-known places for people who like the movie “Slavnosti sněženek” based on the novel by Bohumil Hrabal. If you are a fan of this movie, you should definitely try the Board leg with rosehip sauce. Watch the movie and you will understand. If you want to have a completely Czech experience, drink a local beer Postřižinské pivo or Kofola, Czech variation to coke. After lunch, we start our 15 km of hiking back to Nymburk, alongside the Elbe river. We followed the direction of a red mark, visited the grave of Bohumil Hrabal in Hradišťko. There is no name on it, but you can recognize it by a number of empty beer bottles and pictures of cats. 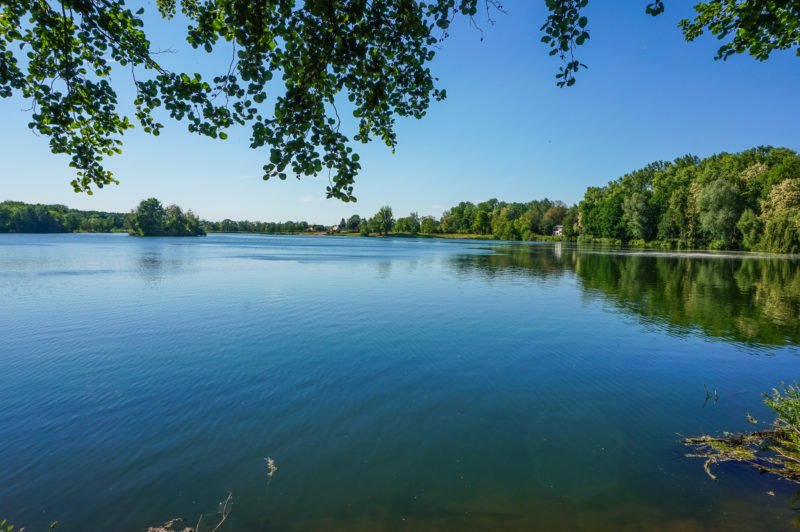 Then we continued by the fields and forests to the natural lake called “Sadská” where you can jump to the water and refresh yourself. The final part took us directly alongside the river straight to the Nymburk. When we finally reach the train station, we were tired but happy. It was definitely worthwhile and I can only recommend you to experience it. 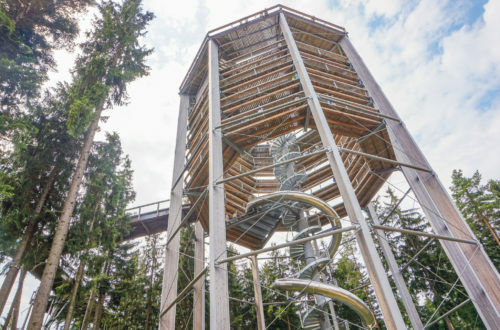 If you are not up to hiking, you can do the same trail also by bike. 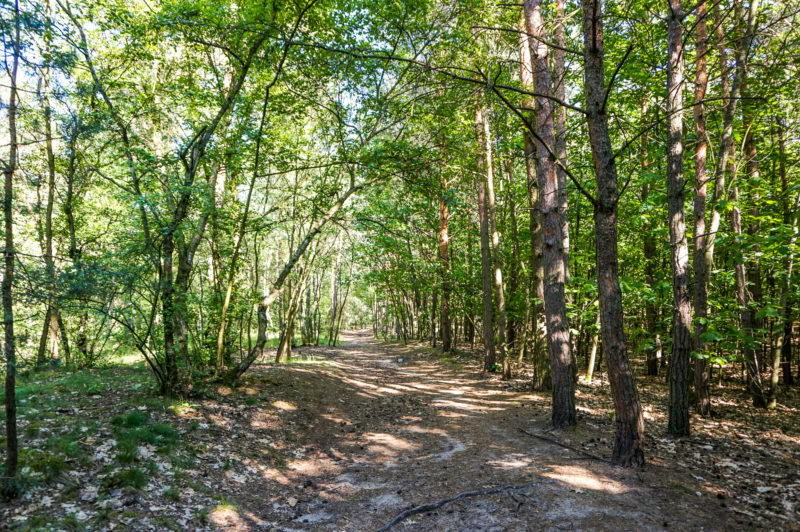 You will find plenty of fellows on this trail. We took a direct train from Prague Main railway station to Nymburk. It takes about 40 minutes. Check the actual timetable here. 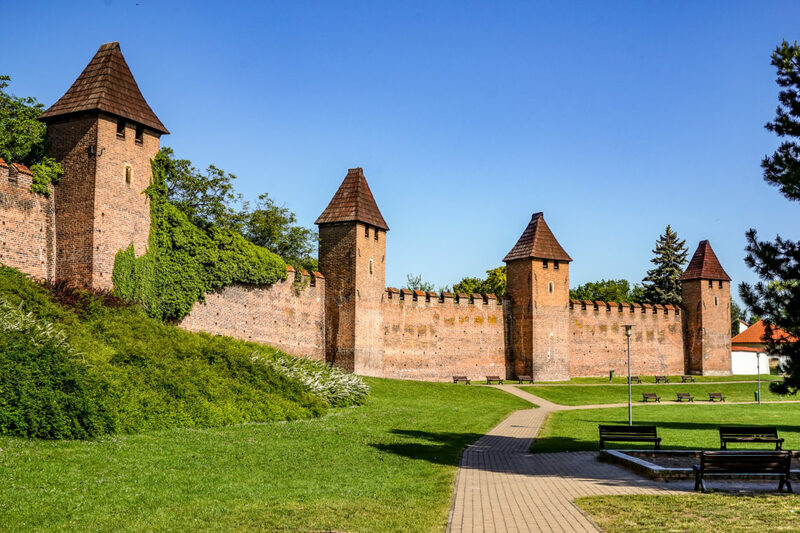 Once we arrived at Nymburk, we had about 15 minutes walk from the train station into the port, that is located just next to the medieval walls. We took a boat Blanice straightforward to Kersko. Check the actual timetable that is changing according to the season here. From Kersko we walk about 15 km back to the river, following the red touristic mark.